Advances in dental technology have afforded us the opportunity to bring you cutting edge dentistry in the form of digital radiography. 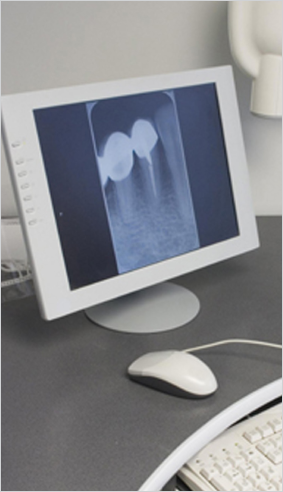 Digital radiography is the ability to take xrays with minimal exposure time allowing them to be scanned into the computer. The images of your teeth, supporting bone and gums are large and crisp and are stored in your file for future reference. Digital radiography is faster, safer and environmentally friendly.